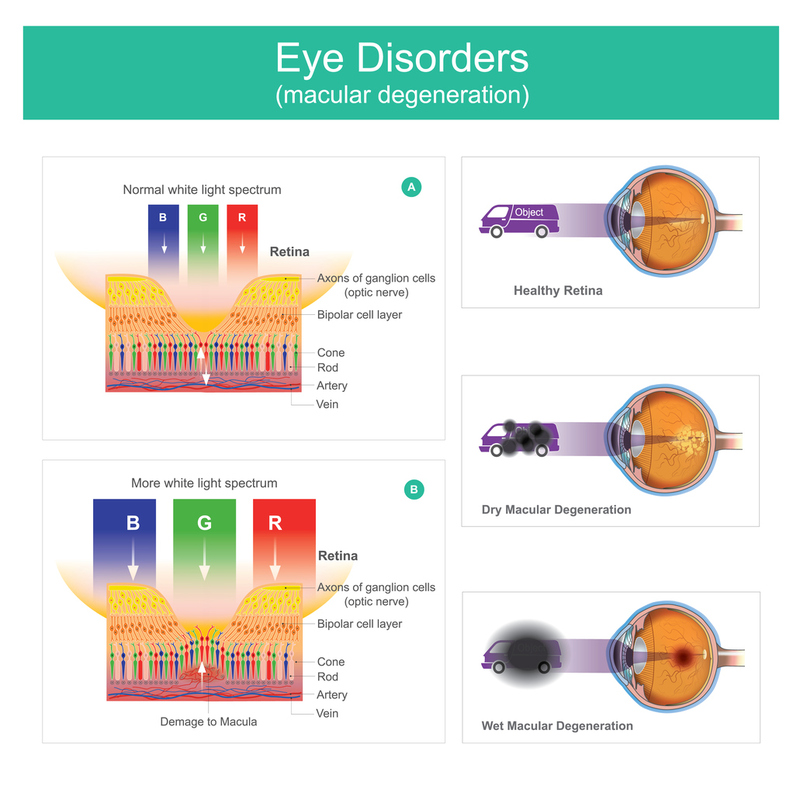 Macular Degeneration Stages - What Stage are You In? Why Do You Need to Know? Macular degeneration stages start with early AMD and can progress to late stage or end stage macular degeneration. It is a progressive disease of the retina and almost always starts out as the dry form before progressing to the advanced or wet form. 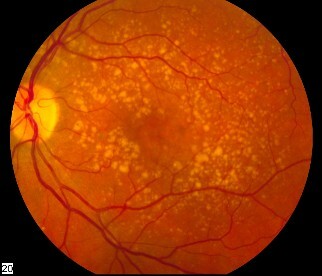 The vast majority of patients with this macular disease have dry age related macular degeneration (AMD). The progression is different for each person and for each eye. This retinal disease can progress very slowly and can take many years for visual changes to develop or it can turn quickly and develop into advanced or wet macular degeneration quite suddenly. 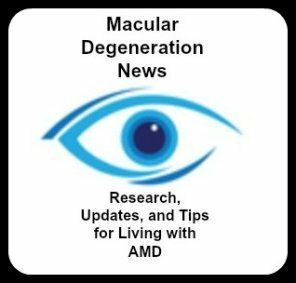 Dry AMD is the most common form of macular degeneration. It is usually associated with a slower progression and less vision loss compared to wet AMD. Age related macular degeneration (AMD) is identified by three different stages. Each eye may be in a different stage. √ Several small drusen or a few medium sized drusen. Drusen is a German word meaning "stoney granule." These yellow or orange colored spots can be seen during a routine eye exam. It is important to know the size and number of them to track your AMD progression. The key words are small and few. Vision can remain normal and unchanged. The ophthalmologist will note the size and number of drusen which will then need to be monitored. Many people over the age of 60 will have some macular drusen, but not everyone with drusen will develop symptoms of AMD. If you have been diagnosed with this stage of AMD, it is a wake-up call for you to be proactive in protecting your retinal health. Get educated now on diet, supplements and protecting your eyes. It is much easier to work on preventing the progression of this eye disease than it is to treat later stages. In this stage there are many medium sized drusen and one or more large, irregular shaped soft. Macular degeneration symptoms occur at this stage. Some of these symptoms are the need for more light and a noticeable blurred spot in the middle of one's vision. Now the number of drusen has increased as has the size of them. Larger drusen indicate a higher risk of developing wet macular degeneration. The drusen are now becoming larger and there is more of them. They now become a problem as they prevent nutrients from getting to the macula and cause the accumulation of waste products. As a result Retinal Pigment Epithelial cells (RPE) waste away and die. Advanced AMD is either a break-down of light sensitive cells and supporting tissue in the central retinal area (advanced dry form), or the development of abnormal and fragile blood vessels under the retina (wet form). Advanced AMD (age related macular degeneration) is the third stage of macular degeneration. Because this is a progressive disease the blurred spot may get bigger and darker, involving more of your central vision. People who have advanced AMD in one eye are at high risk of developing advanced AMD in the other eye. End stage macular degeneration is the last stage of AMD. It can occur in those with dry macular degeneration as geographic atrophy or result in a macular scar for those who have wet AMD. Both of these result in permanent vision loss and can no longer be treated by eye injections or surgery. However, new technology continues to develop in the area of retinal implants. One such implant is actually a telescope that redirects one's vision to a healthier portion of the retina and magnifies ones vision so that the blind spot is reduced. 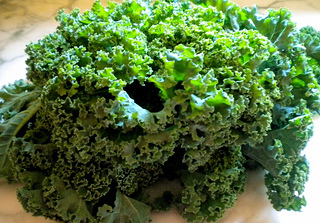 Include foods that are rich in anti-oxidants such as dark leafy greens or blueberries. Antioxidant rich foods fight free radical damage caused by oxidation to the retina.